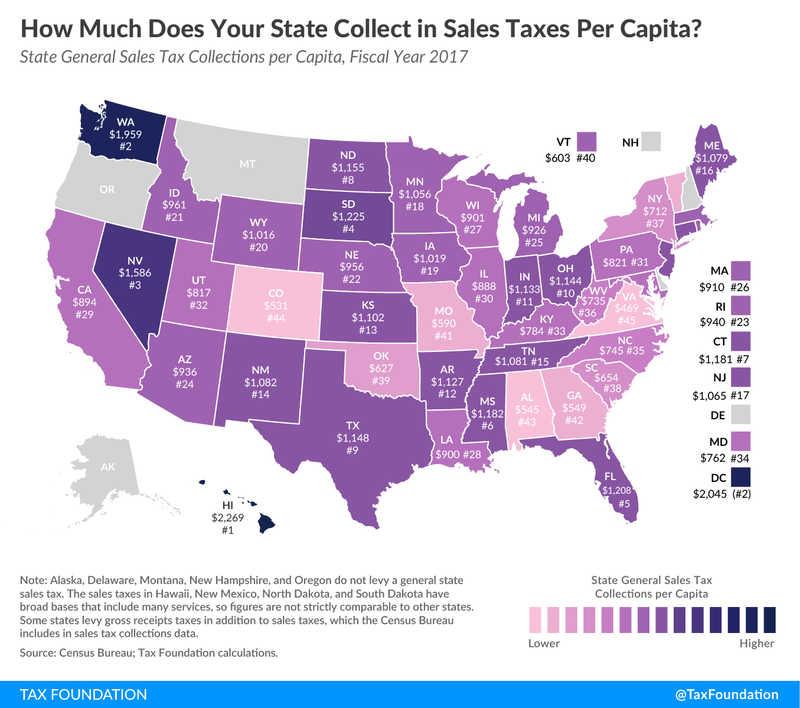 The lowest state sales tax collections per capita are found in Virginia ($469), Colorado ($531), Alabama ($545), Georgia ($549), and Missouri ($590). In these states, a combination of low rates and relatively narrow bases contributes to low collections per capita. In most states, narrow sales tax bases make the sales tax less productive (from a revenue standpoint) than it could be. Many states exempt certain goods (like groceries or clothing) from the sales tax for political reasons, while excluding many consumer services (such as dry-cleaning or barber services). Since the 1950s, purchases of consumer services have grown, while purchases of consumer goods have declined, as a share of total U.S. personal consumption. This trend has contributed to the erosion of states’ sales tax bases over time, and the narrowing of sales tax bases puts upward pressure on sales tax rates. Most states will find that broadening their sales tax base to include more final consumer goods and services will create newfound flexibility to reduce tax rates. 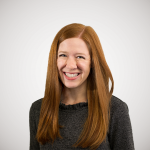 Additionally, an appropriately-broad sales tax base improves neutrality by moving toward a system that taxes all final consumer goods and services evenly, and it makes tax administration simpler while generating a more stable stream of revenue. How Much Does Your State Collect in Individual Income Taxes Per Capita?